When it comes to vehicles, one thing that you are going to need is a full service. While it is commonly believed that all that you would want is a vehicle, there is actually more to it than the vehicle when it comes to Volvo brands. We at Crippen Volvo Cars have features to the Volvo Certified Pre-Owned Vehicle plan. The 2019 Volvo XC90 is a popular luxury SUV that loads plenty of comfortable interior features on the table. These features include specialized air-comfort zones as well as drivers-side settings that memorize your tastes. In the comfort area, the Volvo XC90 provides passengers and drivers with the convenience of 4-zone climate control. One of the most important factors in the safety of your vehicle is what you can see. If you are driving around while blind, then you are going to have a hard time keeping yourself safe on the road. This is one of the reasons that the 2019 Volvo S60 Luxury vehicle utilizes the 360-degree camera which gives you a bird's eye view. Which Volvo Model Will You Choose? When you get a Volvo S90 at Crippen Volvo Cars, you have several options to choose from. This popular luxury sedan is available with three distinct powertrains. They offer plenty of power while giving you a dynamic driving experience. The first engine available to Lansing drivers can be found on the T5 model. This engine is capable of producing up to 250 horsepower and 258 pound-foot of torque. Want a vehicle that takes care of all the small stuff? Take a look at the new Volvo XC40. This renowned luxury subcompact SUV is equipped with smart mirrors that are designed to improve visibility and keep you comfortable. They work automatically, so you'll never have to worry about turning them on. The Volvo V90 is a popular luxury wagon at Crippen Volvo Cars in Lansing, MI that has an elegant design and a towing capacity of 1,650 lbs. It has many practical exterior features. Two of our favorite exterior features of the Volvo V90 are the keyless entry with a hands-free power tailgate and auto-dimming exterior mirrors. Choosing a car is as much about the style of a car as it is about the features. When it's time to make a choice, you can easily draw a blank because there is more than one option that offers benefits you need and want. You have to figure out what you need and what you want, then find a car that offers these features. Volvo invites you to get inspired by the new S60 R-Design. This premium all-wheel-drive sports sedan is the pinnacle in automotive achievement. From the expert styling to the unparalleled performance, the S60 R-Design has it all. The Volvo enthusiasts at Crippen Volvo Cars in Lansing, MI are eager to share all of our knowledge about this venerable vehicle with you as we demonstrate all of its unique features. The heating and cooling system of a vehicle contains a filter that removes dust, mold, pollen and other debris before it enters the interior. The owner's manual provides a recommended time frame for replacing the filter. 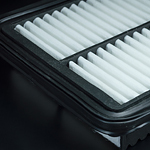 However, if you routinely drive on unpaved roads, the filter probably needs replacing more often. Motion sickness is an unfortunate thing to have to deal with while traveling. Motion sickness happens when the brain receives confusing messages from the eyes, ears or other areas of the body that can sense motion. This can cause issues such as nausea and can even result in vomiting.